Qatar Airways has confirmed that it will operate the Airbus A350-1000, equipped with the airline’s new Qsuite, on flights to and from Changi Airport in Singapore from 1 November 2018. The aircraft will also be introduced daily to Tokyo’s Haneda Airport from 1 January 2019. 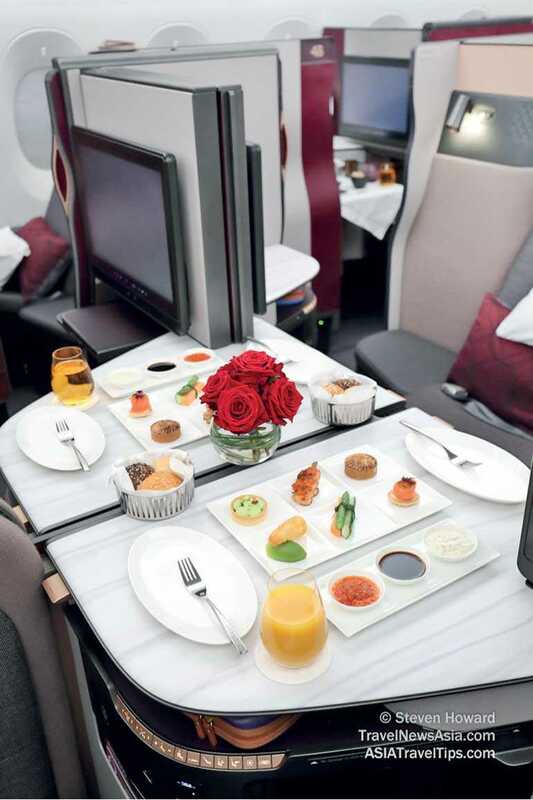 Qatar Airways’ A350-1000 features 327 seats across two cabins – 46 Qsuite Business Class seats and 281 18-inch seats in Economy Class. Business Class passengers will be treated to the Qsuite experience, featuring the industry’s first-ever double-bed in business class. Sliding panels allow passengers in adjoining seats to transform their space into private cabins so passengers can work, socialise and dine together during the flight.